without having to go to the Properties palette. we can also change the Quick Properties (QP) or off of the status bar. After turning the feature on the position on, simply select an object and properties for editing. 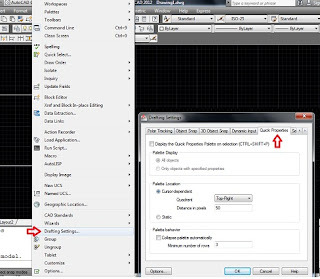 You can control the display properties for each object in the CUI (for quick access select the Customize button QP). 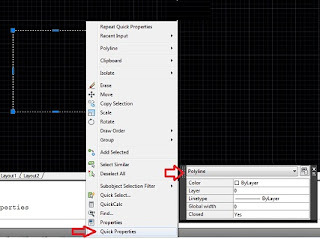 The new Quick Properties tab in the Drafting Settings dialog box provides additional control.